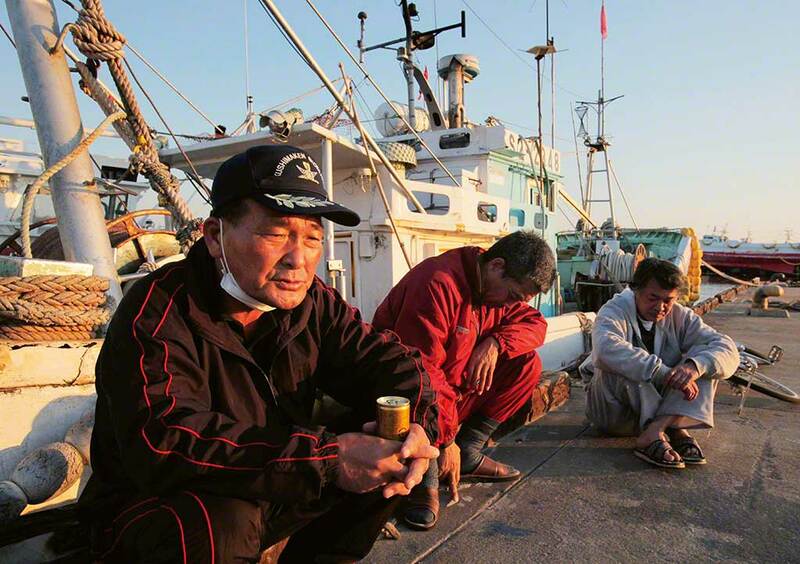 A frequent visitor to the docks of Kesennuma, Japan’s busiest landing port for sharks, Mareike Dornhege recognises the value of learning from Japanese fishermen, the veterans of the Pacific shark fishery. 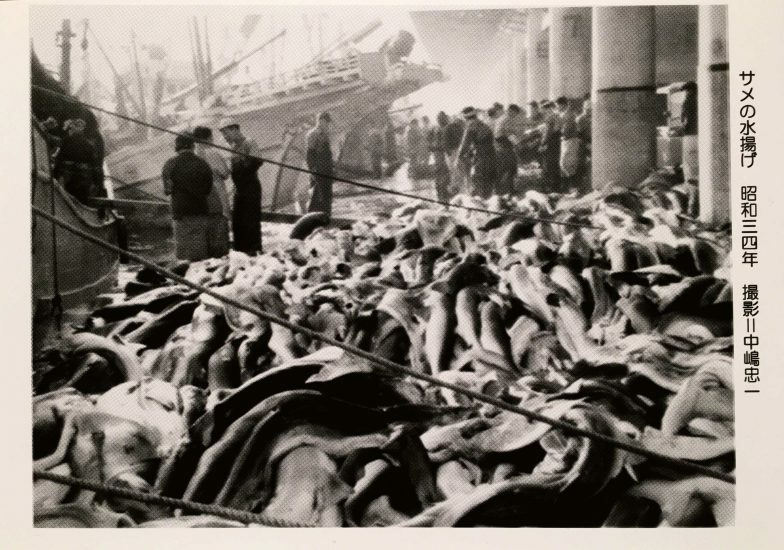 A 1959 archive image from the Rias Ark Museum in Kesennuma shows the shark catch at the city's dock, one of the most important landing sites in Japan. I am hopping from one leg to the other, rubbing my palms in a futile attempt to warm them. It is 4 am on a cold January morning on the Pacific coast of northern Japan and I am standing on the dock at Kesennuma. 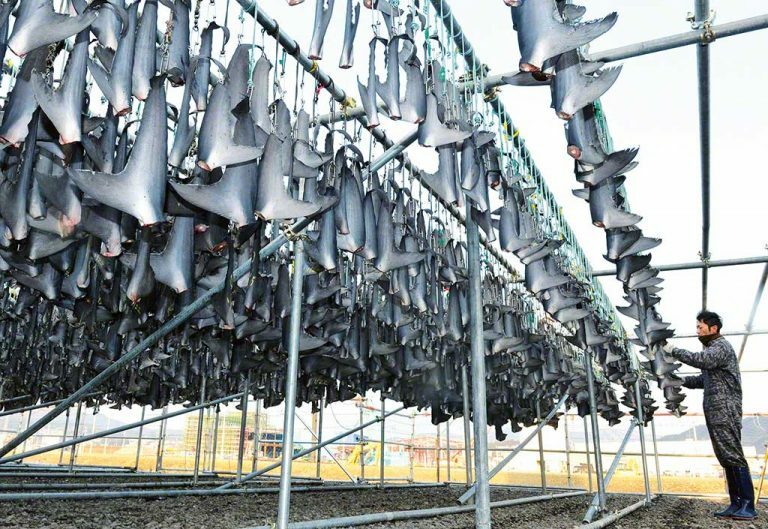 Japan is currently the globe’s 10th biggest shark-fishing nation and Kesennuma is responsible for about 80% of the landings. I am watching a 30-ton drift-net vessel unload its catch of dozens of salmon sharks. 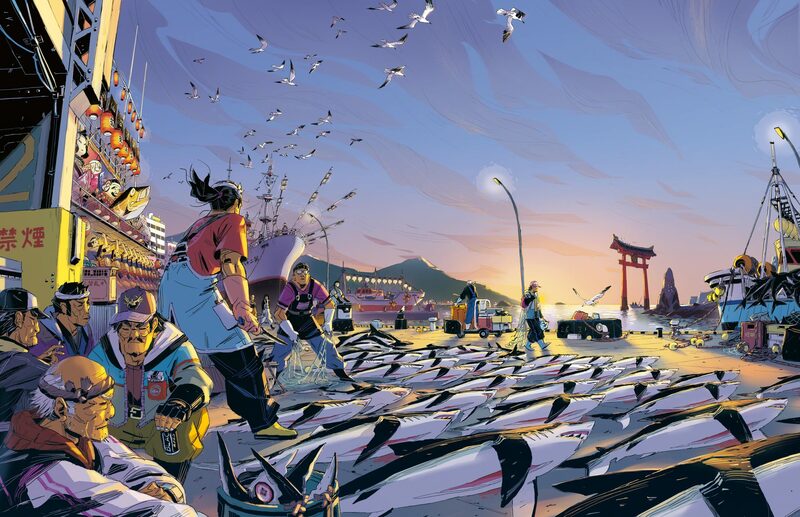 Crows and seagulls circle overhead as port workers lay out the sharks’ bodies in neat rows on the brightly lit dock. At the far end, longfin mako, shortfin mako, hammerhead and a few thresher sharks are on display for potential buyers, next to large piles of hundreds of blue sharks. It is this species that makes up about 80% of the landings. It is a noisy and busy place and the port worker at my side is concerned that I might slip on one of the puddles of frozen water and blood, or perhaps collide with one of the many forklifts scooting quickly back and forth behind me. I smile at the captain of a salmon shark vessel who is cleaning up on deck and remark on how neat his wooden-decked boat looks. Eagerly he begins to tell me of his four-day fishing trip to the northern tip of the main island of Japan in search of salmon sharks. The trip was clearly successful, as I watch his small crew unloading more large adult salmon sharks from the hold, lifting them by the tail fin one by one with a rope and crane, careful not to sever their still-whole bodies. ‘How do you know where to find them?’ I ask. In the thick accent of northern Japan, he explains to me that sharks ‘ride the currents’ and he has learnt to follow their seasonal migration over the years. For a moment I forget about the noise, the cold and the wind as I absorb first-hand knowledge about the behavioural ecology of salmon sharks. I am fascinated by his detailed understanding of their movement patterns and sexual and age disparity. Contemplating that visits such as this might prove even more interesting than I have envisaged, I follow a member of the port staff to see the operations of the dock’s central office. Gladly I accept a hot coffee from a young dock worker as we take our places for a run-down into the workings of a fishing dock that on most weekdays handles several tons of fish, including tuna, bonito, billfish, sharks and Pacific saury, not to mention catches of coastal delicacies such as seaweeds and even sea squirts. Many of the other staff members eye me suspiciously. Few women work here and those that do are definitely not foreigners. I realise that I will have to break down a few barriers. This is my third visit already and only now am I finally allowed to conduct interviews. ’We’ve had bad experiences,’ explains one of them with a shrug. 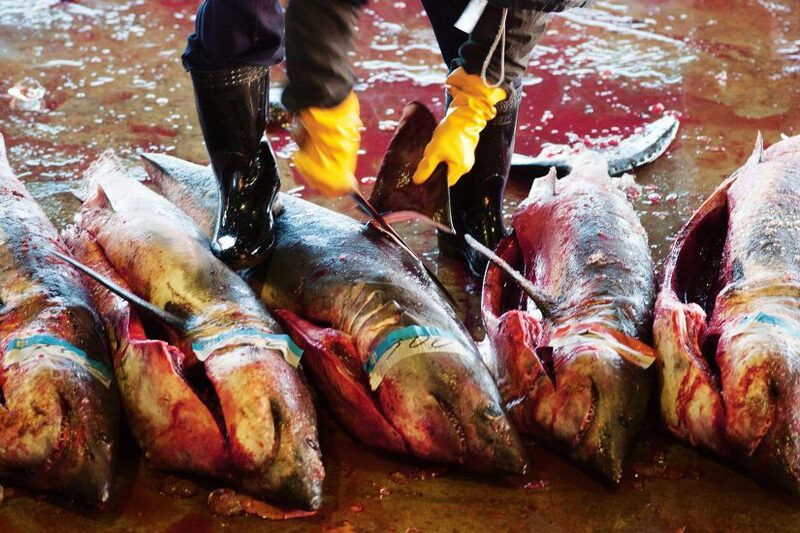 Western journalists came, took photographs of their shark catch and sold them to newspapers for sensational stories telling how Kesennuma fishermen ruthlessly hunt sharks to extinction. Although media coverage about the dire need to conserve sharks is vitally important to inform the wider public of our work, such reports that include no scientific background or statements from the local community can do more harm than good. In the worst-case scenario, they harden the front between fishermen and scientists or NGO workers, hampering progress on sustainable fisheries management. The fisheries cooperatives in a few ports arrange for me to meet some retired long-line fishermen. Most are in their 80s and, having started fishing in the 1960s, they have decades of experience. A few active fishermen in their 40s join us. The fishermen explain their gear and methods in great detail and one even goes to fetch some equipment to show me. I am testing the strength of their monofilament leaders and comparing J-hooks and circle hooks when a retired captain in his late 70s explains how the latter can be easily removed from the mouth of a sea turtle taken as by-catch. My own jaw drops as they all nod in agreement when he tells me that turtles are viewed as gods and must be released back into the water – but only after they have been blessed with salt and sake, both of which are used for various sacred purposes in Shinto, Japan’s national religion. Circle hooks also snare sharks, though not as deeply as the much straighter J-hooks do. A shark caught on a circle hook has a greater chance of survival if it is subsequently released. The fishermen tell me of all the shark species they can no longer land since 2014. More forbidden species followed in 2016, shrinking the pool of shark species they are allowed to catch to only seven. It seems that their fishery has undergone a lot of change in the past decade. ‘It’s true,’ they confirm, telling me that for decades they had only one goal: to catch bluefin tuna. An individual tuna could sell for thousands of dollars, depending on its size and the fattiness of the flesh. Sharks were merely by-catch. But as tuna stocks dwindled, the fishermen’s targets changed to billfish and sharks, even though they fetched a fraction of the price for tuna. When I ask about the changing state of stocks, several reasons are given. Overfishing seems to be an important one and all Pacific fleets appear to be culprits, including illegal vessels that these fishermen regularly report to the coastguard. The effects of climate change are also mentioned. The oldest of the fishermen is concerned that their target species are not finding enough food; another says that they are catching more hammerheads further north than ever. I notice a gap in their perceptions. Most of the fishermen in their 70s and 80s report that there used to be up to three times as many fish in the ocean as there are now. Bluefin tuna has almost completely disappeared; there is less change in catches of blue sharks, more in catches of carcharinid species. But the younger fishermen, with one or two decades of experience, paint a different picture. They have seen few changes in shark stocks – and fish stocks in general – although some say the fish are smaller. This phenomenon, also known as the ‘shifting baseline syndrome’, is reported for more and more marine ecosystems around the world. There are often no detailed scientific records for fishing activities more than 30 years ago. Interviews with fishermen of different age groups can fill in this gap. Their accounts, authenticated by old records, literature and photographs, can give a comprehensive and robust image of the oceans of the past. To get a better understanding of historical fish stocks and fisheries I go on a scavenger hunt, collecting more pieces to complete the puzzle of what I have heard. This leads me first to the local museum in Kesennuma, which has a collection of old fishing gear, fishermen’s kimonos painted with sharks (showing that the relationship between fishermen and sharks is not new) and, most interestingly, photos showing shark landings in the 1960s. They comprised mainly of blue sharks and, to my great surprise, the quantity is comparable to the landings of today. Salmon sharks are a target species of the driftnet fishery in northern Japan. Next, the national library provides me with records of shark meat being used as a staple food for more than 500 years all over Japan. However, my interest is piqued by the changing species that are mentioned in landings, in recipes and in general. As we enter the 20th century, there is a clear trend away from coastal species and towards pelagic ones. 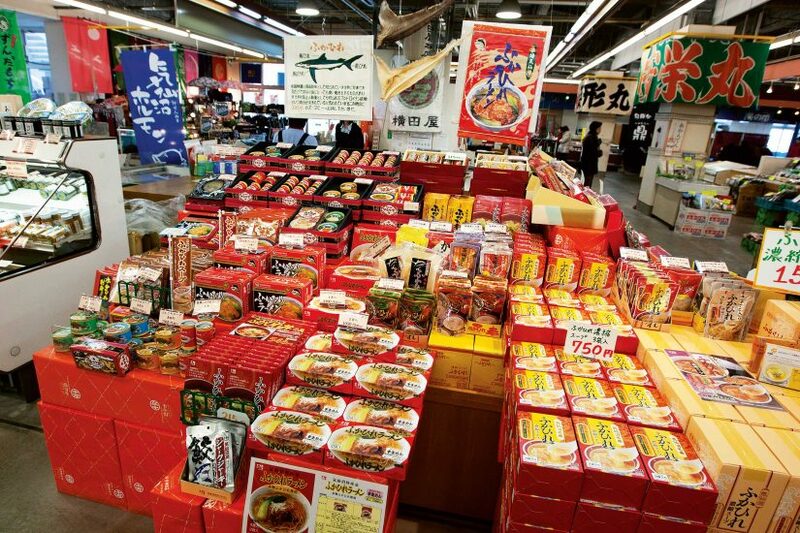 My final visits take me to the processors of shark fins and meat in Japan. Most of the companies are family-run businesses in their second or third generation. I am usually greeted by the son or daughter, often appointed managing director, who is frequently about my age. In the best interviews, two generations attend together. Once again the older generation reports a shift, this time in the species processed. At the beginning of the 20th century it was mainly coastal spiny dogfish, but this population is reported to have crashed in the early part of the century and by the mid-1900s large landings of blue shark were being processed at Kesennuma. All the interviewees agree that their businesses are family concerns and they want to pass them down to the next generation. They also know they can only do so by following sustainable fishing and processing practices, which they want to achieve together with fisheries managers, scientists and consultants. On a sweltering summer day, I make a return visit to the landing docks of northern Japan. After two years, it has finally happened: I am allowed to attend an annual meeting of the long-line captains. It turns out to be one of the most memorable days of my project, when I witness a new dimension in shark fisheries. For years, the longline fishing fleets have been shrinking; big catches of tuna have turned into a far-away dream of yesteryear. Instead, the fishermen are trying to survive on billfish and shark landings, which only rake in a fraction of the money the men used to earn. The fisheries cooperatives, the Japanese government and the Western Central Pacific Fisheries Commission (WCPFC), the regional fisheries management organisation, are tightening the rules year by year: more shark species that can no longer be landed, stricter regulations on gear. In this meeting even quotas on shark landings are now being discussed. The Japanese are known for their polite manners, but here I see a bulky, broad-shouldered captain in his 50s lose his temper. How is he to survive under these regulations? If the trend continues, his vessel will be the next to leave the fleet. Silence follows his outburst. The other fishermen, the government officials, the fisheries scientists – no-one has a solution to his dilemma. For the first time I see the fishermen’s despair and realise just how charged this topic is. As much as fishermen are part of the overfishing problem – the main threat to shark species worldwide – they can also be part of the solution. I have learnt so much from these men over the past two years as they shared decades of observations on the high seas. Their knowledge can serve as a starting point for scientists to investigate sexual and age separation and mating and pupping grounds in oceanic shark species, which so far remain uncharted territory to us. Fishermen can give detailed accounts of patterns of behavioural ecology that they have observed repeatedly. If we are to successfully apply policies and management measures aimed at sustainability, we will need to involve the fishermen. 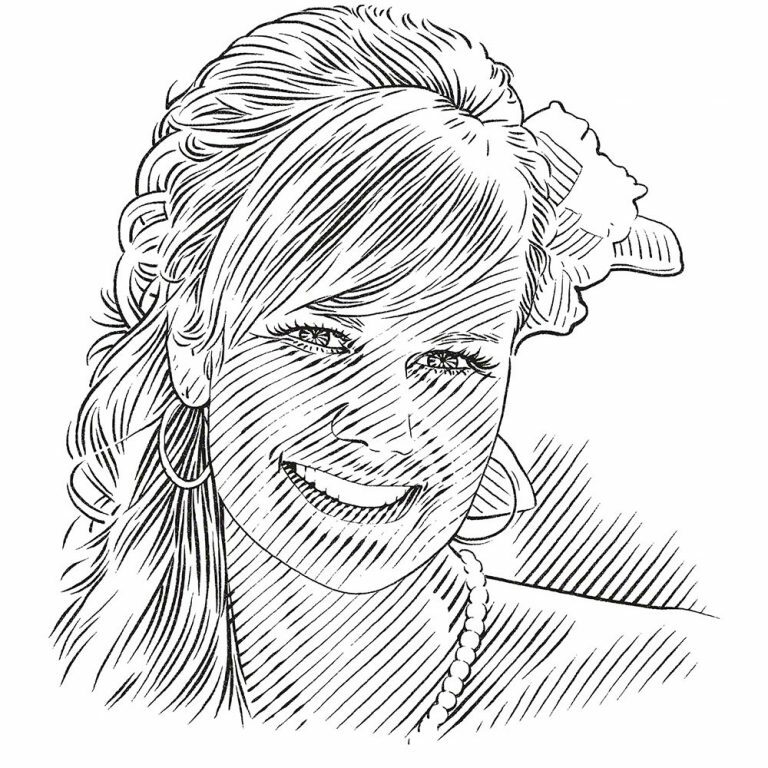 And it is possible that a mutual understanding would not only make these policies and measures work more smoothly, but also help scientists to gain a deeper knowledge of shark ecology – and that in turn can help us to devise better policies.